Gift Guide #4: The Giveaway! Go Navy, Beat Army! 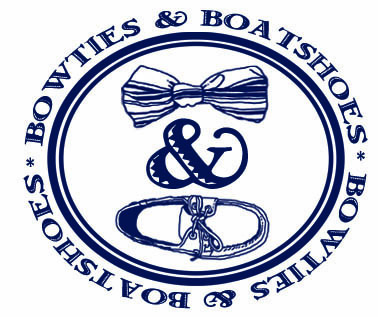 As bowtie aficionados, we not only love the ties themselves, but just about all things bowtie related. Today we’re wrapping up our week of gift guides with five bowtie themed items we’d love to find under our trees. Bowtie Tee by Southern Proper: We’ve worn this one so much that we need a back up just in case something bad happens. Super soft, and featuring some of our favorite classic Southern Proper Beau designs, you can’t go wrong. 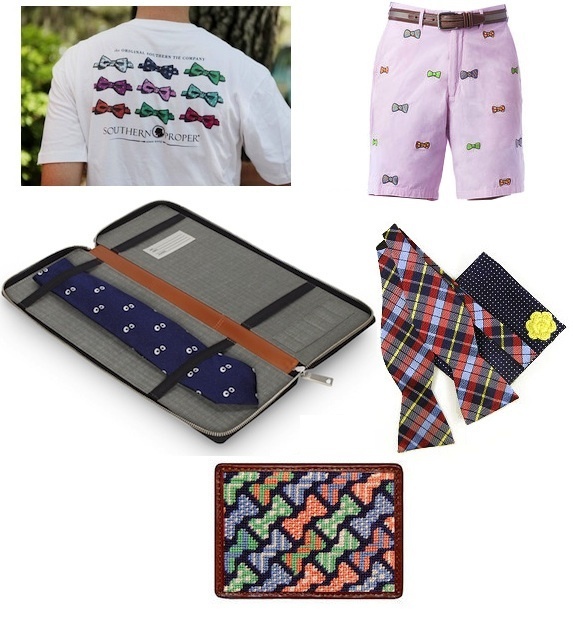 Pink Cisco Shorts with Bowties by Castaway: Will the temperature need to go up about 50 degrees before we can wear them? Yes. Are they worth the wait? Absolutely. If you’re bold enough to wear pink shorts, you’re bold enough to wear pink shorts with bowties. Wear them with pride. Mill Leather Tie Case by Jack Spade: Though shown with a long tie, this case is built to protect any type of tie when you hit the road. Made from durable cowhide, the Mill Leather Tie Case has enough space for a handful of ties, and small pockets to hold your collar stays. Tie of the Month Combo by The Tie Bar: The gift that keeps on giving all year long (or for 6 months in this case). Over the course of six months, you’ll end up with 6 bowties, 6 pocket squares, 4 pairs of socks, 2 sets of shoelaces, and 2 lapel flowers. Bowties Needlepoint Card Wallet by Smathers & Branson: The needlepoint card wallet is the perfect size for a couple of cards, a few bills, and your ID. For the most part, this has been our go to wallet for the last couple of years.